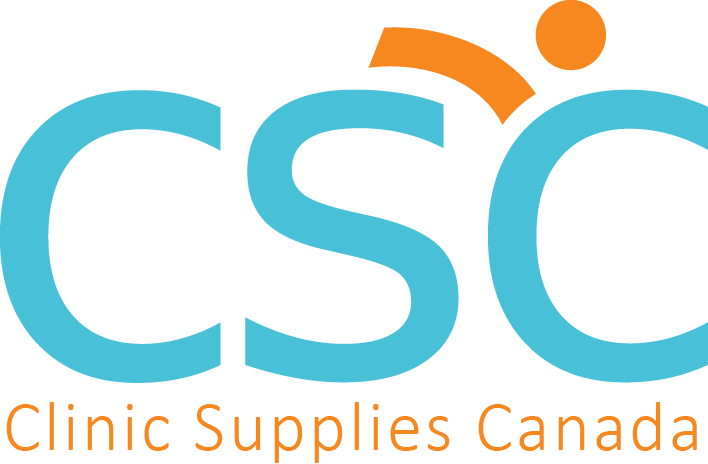 We're so grateful that you're considering CSC as a provider for all your clinic supplies. We want to provide a service that makes you say “WOW” and whatever it is you need, we try to make it happen! We also make it super easy for you to bundle all your clinic supplies so you can free up your time (and your team's time). We even partnered with Staples to give you a big selection of office supplies and laundry detergent. We carry 116 knee braces, 82 type of ankle braces, 813 different pain relief products for resale, 106 treatment tables, 519 types of physio supplies, 305 different chiropractic & massage supplies, 760 kinds of office supplies, 255 types of exercise equipment, and we can ADD NEW products missing on our site within the same day. Why pay multiple shipping fees and write multiple cheques when you don’t need to? Free up 5 hours every month with CSC. Get professional discount pricing and get instant savings today. FREE TO JOIN for clinics and healthcare professionals. 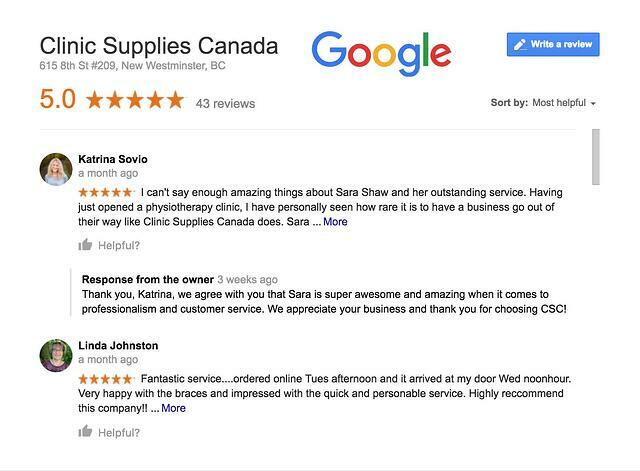 CSC has the highest number of Google reviews in the healthcare supplies industry - boasting a perfect 5-star score with over 43 reviews. 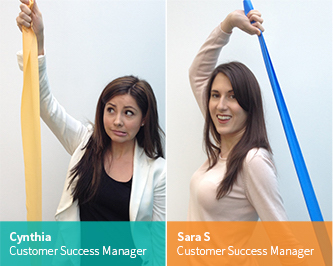 No other supplier can match the level of customer service we provide. We’ve made it our priority to live and breathe exceptional customer service!